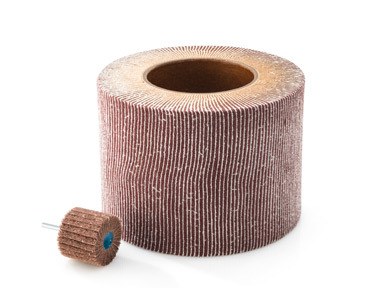 Another great assistant in the HK - KOTI product range are the grinding and polishing tools, such as flap grinders, flap wheels abrasive fleece wheels. These fine-machining tools are used, among other things, for deburring, grinding and polishing different surfaces. Flap grinders from HK - KOTI adjust perfectly to the contours of the workpiece being machined due to their flap-shaped lamellae. Flap grinders are used for fine grinding work in tool and mould building for machining difficult-to-access surfaces in container and plant construction applications and for machining fittings made of non-ferrous and light-alloy metals. Flap wheels from HK - KOTI are the ideal tools for surface machining. They remove rough unevenness, achieve a homogeneous grinding pattern on large-scale surfaces and contours, and are used for tasks such as ultra-fine grinding as a preliminary step ahead of highgloss polishing. 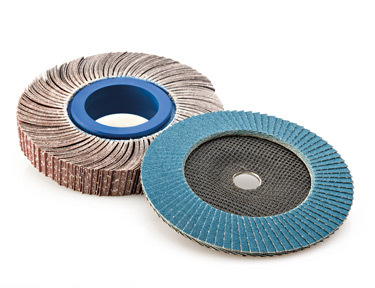 Abrasive fleece tools are particularly suited for dry and wet operation. They are used for cleaning and matt finishing plastics, for descaling metal surfaces and for achieving a surface finish. We are a highly flexible specialist in the field of deburring and brushing technology. We offer tools, machines, processes, application technology and non-standard solutions – custom tailored and also in small batch sizes. 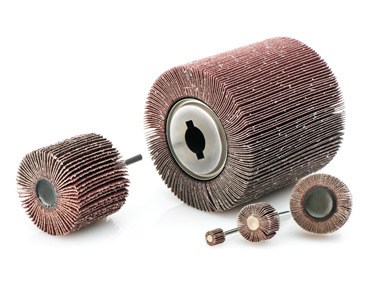 Due to our outstanding supply quality, availability and a wide range of individual brush solutions, we have gained an excellent reputation among national and international customers, in particular in the fields of mechanical, motor and automotive engineering through to medical technology and IT. HK - KOTI GmbH Entgrattechnik is a member of the KOTI Group, and benefits from its concentrated expertise in technical brushes the world over. Certification ensuring high standards: HK - KOTI Entgrattechnik offers optimum compliance with all the quality standards required by DIN EN ISO 9001:2015. This has been confirmed by successful certification in compliance with the latest DIN EN ISO 9001:2015 standard performed by TÜV Rheinland. Our on-going investment in development and the consistent implementation of improved quality systems ensure that the products you receive from us are of the very highest quality and reliability.